I grew up in the 90s. I’m fairly certain that’s obvious. Something I haven’t understood for quite a while is this sudden influx of trends coming back from the 90s. Everyone loves to talk about it, wear fashions from it, and maybe just pretend it’s the 90s. Even that damn “true 90s kid” thing bugs me. I don’t think if you’re a baby in the 90s you should be saying that. But this isn’t a rant post about young adults online strange behavior. It’s about my favorite things growing up: things banned from school. Every year it seemed as though something new was being put on the ban list. Most of it made sense and some of it didn’t. So I gathered up my time machine (okay that’s a lie) and picked 5 of my favorite things from childhood that parents (more like teachers) just didn’t understand. 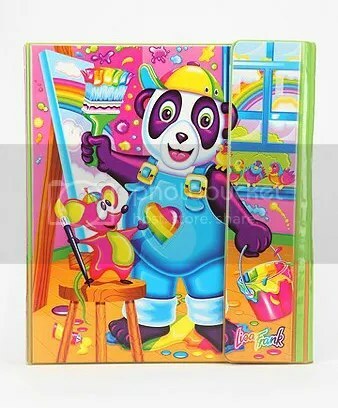 To this day, I don’t understand why the Trapper Keeper wasn’t allowed in my elementary school classroom. They had wicked cool designs. They helped keep students fairly organized. Certainly more organized than our desks became a week after school started. Heck they made you look really cool. (Even Zack Morris had one. I’m pretty sure.) I even attempted to scout the internet to see if anyone else knew why these binders on steroids were banned, but no one else had an answer. Was the velcro super annoying to teachers? All anyone knows is every year without fail teachers promoted their anti-Trapper Keeper agenda in the back to school list. I mean okay, go ahead and ask kids to bring in an entire jar of blue marbles that will never be used but don’t let them have a wicked cool binder with a Lamborghini on the front. Truth be told, it was probably to keep things fair and equal. We were in elementary school. Did they honestly think we would have a meltdown over Bobby having a binder we envied? We were probably way more concerned about who had a pizza Lunchable. That said, Trapper Keepers are still widely available today…that is if you want to spend upwards of 15 dollars for a binder. Buying school supplies as an adult is much different when you are spending your own money, isn’t it? I feel like the pitch for gel pens went a little bit like this: Are you a pre-teen girl? Do you like sparkles and glitter? Do you want to ensure your friend can’t read a word of the note you are currently writing? If so, gel pens are for you! I could probably find an old middle school notebook of mine right now, open it, and not be able to read a word it says and that’s because of gel pens. Gel pens were cool. They weren’t just a normal colored pen. They had glitter and were unnatural colors like orange and yellow. They were also fun for about 5 minutes. They never wrote one sentence without (partially) running out of ink. They didn’t last very long, and we could never do assignments in them. They were strictly for note writing and I guess they served their purpose just fine. 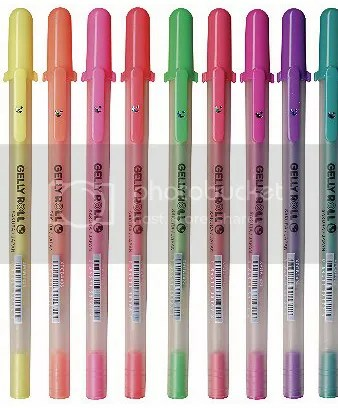 (Well if you could get the pen to work) I was a big fan of gel pens for about a week and I went right back to my fluffy feather topped pen like Cher had in Clueless. I wonder if pre-teens today enjoy a good gel pen from time to time? Do they even write notes anymore…probably not. How will gel pens ever stay alive? Youth will never know the struggle of trying to read a yellow ink note under the flourescent light of a classroom. Such a bummer. I’ll be honest. 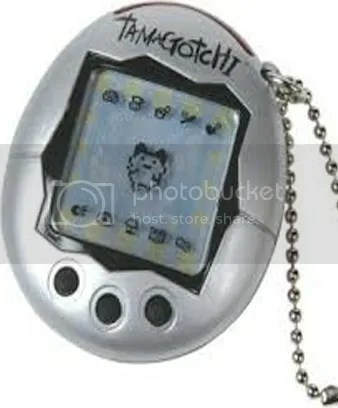 I never had a real Tamagotchi. I was more of a Nano baby/pet kind of girl. They were bigger and easier to see. I remember thinking these were all the rage. That is until it started beeping it was hungry and it got annoying fast. Looking back on it, it’s understandable why these were banned from school, but why would we bring them with us in the first place? Well, first, if you didn’t take care of them all day and be at their beckon beep, they would die. So overdramatic, right? Second, the more you had the cooler you were. Like some sick contest of electronic parenthood. Seriously, think about it. There was that girl (probably the one who loved horses) who had like 5 of them on her belt loop all at once. I don’t understand why at the ripe old age of 7 I was put in charge of an electronic life entirely by choice or why it was the hip thing to do. I could barely remember my lunch most days how can I feed a little electronic baby? My Nano baby didn’t last very long; possibly a month before I gave up and moved onto the next big thing. As an adult, I can’t believe I complain about the size of my phone screen when I used to sit for hours playing with a tiny egg with two buttons. If you’re still interested in taking are of a Tamagotichi baby, there’s an app for that. oh how have we come full circle. Hey, I’ve got an idea. Hear me out; I’m going to take this piece of plastic, slap you on the wrist with it, and then it’s going to roll around your wrist like a bracelet. “GREAT!” – no one. Slap Bracelets were outlawed for a reason. Not only were they ugly but they were serious weapons. They hurt so badly, and any kid could just randomly attack another one with them. I’ll be honest, they were fun for about a second. It was magical to watch it curl up around my wrist like a snake but eventually it became extremely uncomfortable. It was hard to write with a chunky piece of plastic making a home on my wrist. I’d rather wear a scrunchie any day of the week. Eventually, after countless injuries I’m sure, they began making the bracelets with fuzzy fabric outer covers which honestly didn’t help one bit. The plastic would eventually break through and no one wanted a purple zebra print clashing with their stylish flower covered dungarees. 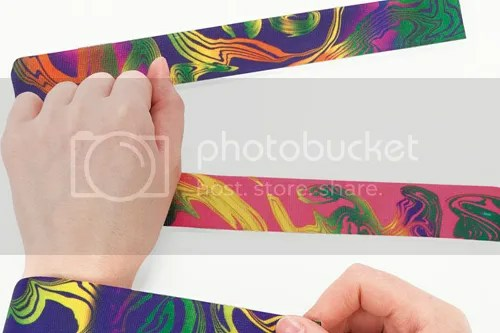 I received a slap bracelet from a popular juice company a few years ago during a promotion and I couldn’t imagine someone was trying to cash in on this nostalgia. I also couldn’t believe I bought into it and quickly slapped it on my wrist. Suddenly every painful memory I had flooded back with one slap. I shudder at the thought now. Pogs have got to be the stupidest thing on this list. 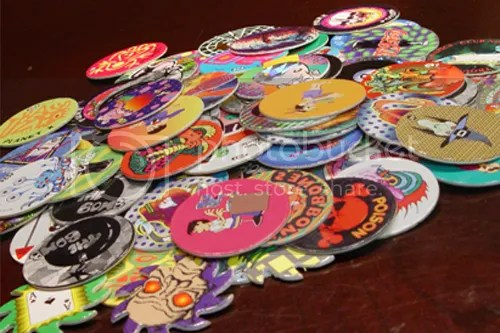 Pogs, for those who don’t remember, were cardboard pieces covered in designs. I can’t recall to this day what their purpose was or what we even did with them. I just know we had to have them all. Some pogs were cooler and in bigger demand than others which made trading them even more fun. Oh wait, apparently Pogs was a game. A game I clearly didn’t know about (or remember) until 20 years after their original popularity. Thank God for Wikipedia. I must not have been very good at this game because I barely remember it. The rules are simple: stack the Pogs, slam the hammer, keep the face up pogs, and whoever had the most wins. Since the winners would keep the Pogs they collected similar to poker chips, they were basically outlawed not out of pure stupidity but rather the aforementioned gambling aspect. Also can’t forget the fights they probably caused. As kids, there’s not a whole lot of currency to go round. Sure you can trade your Dunkaroos for a sweet juice box. Or wait around til Bake Sale or Shaved Ice day to score some extra cash from your friends. But what could possibly be used the other days of the school year? Pogs. Posted in Thoughts and tagged 5 Things, 90s, back to school, Entertainment, Musings, Nostalgia, Pop Culture on August 14, 2014 by coffeeandwinter. 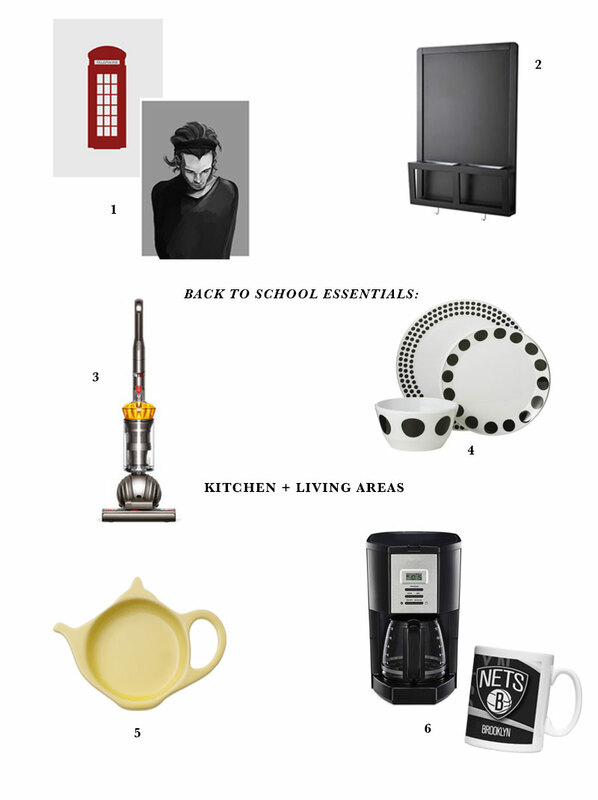 Continuing on with the back to school theme this month, I’m talking about apartment essentials today. 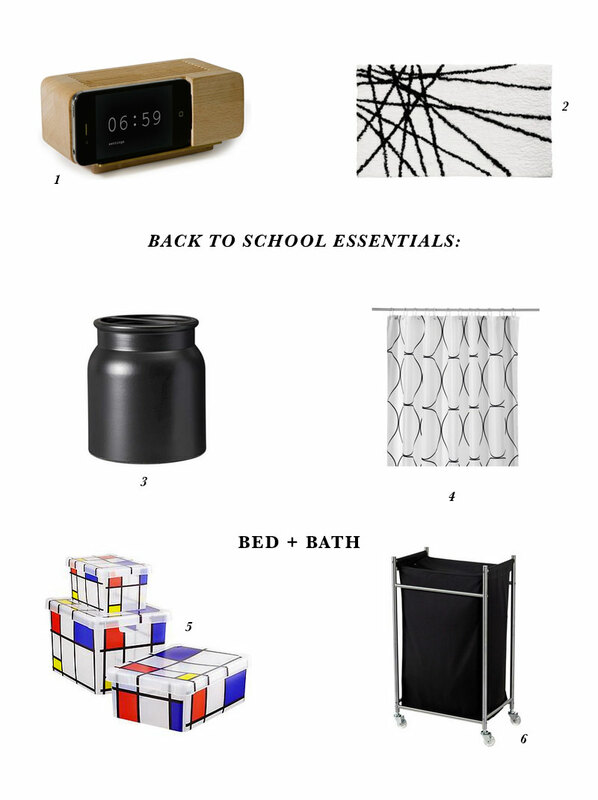 Sure, most of these things are also quite suitable for dorm living, but I know nothing about that. I have never lived in a dorm. Nearly every friend I have lived in one at some point. My sister even lived in them. I visited plenty of times and I learned one thing: it’s definitely not for me. Hey, my sister had to have stitches on her eye after being hit with an empty chewing tobacco can someone was using as a hockey puck. Also, they NEVER used a vacuum which really bothered me. I’m much more suited for apartment living (for the most part) so these are the things that are pretty essential to that living situation. Everyone knows you need sheets, towels, etc. So those are noticeably missing. These additions include, as mentioned previously, a vacuum because there’s no excuse. You’re an adult now. And a toothbrush holder for the same reason. The only reason not to use a toothbrush holder is if your toothbrush is electric/sings/or has another reason for not fitting in the holder! Posted in For the Home and tagged Art, back to school, Design, Essentials, Interiors, Kitchen, Polyvore, Shopping on August 14, 2014 by coffeeandwinter.